This week, Microsoft shmoozed developers at its Build conference in San Francisco. The event opened with a two-hour keynote presentation on Wednesday, where CEO Steve Ballmer and several other executives took to the stage to discuss what’s happening at Microsoft, and give us all the latest news on its top projects. Back in May, Google did something very similar at Google I/O, and the two events turned out to have a lot in common – right down to both holding on-stage coding demonstrations – but the most striking similarity was the almost complete dismissal of their respective mobile operating systems. In a break from tradition, Google didn’t announce a new version of Android at Google I/O, and generally skirted around the software, instead choosing to talk about Google Now, Maps, and other Android related apps. Microsoft did the same thing, spending its time discussing Windows 8.1. However, CEO Steve Ballmer painted a different picture during his opening speech, and while one of the two companies can get away with such boldness, the other really can’t. “We probably won’t show you a lot of Xbox, Office 365 or Skype,” said Ballmer as he opened the keynote, “But we do have a whole lot of Windows and Windows Phone to talk to you about.” Oh lovely, said the mobile fans as they settled down, safe in the knowledge Windows Phone 8.1, or at the very least, the Windows Phone 8 GDR2 update would be shown. Five minutes later, it looked like we would be hearing about it before Windows 8.1 was revealed, as Ballmer strode across the stage to a display of Windows Phones. 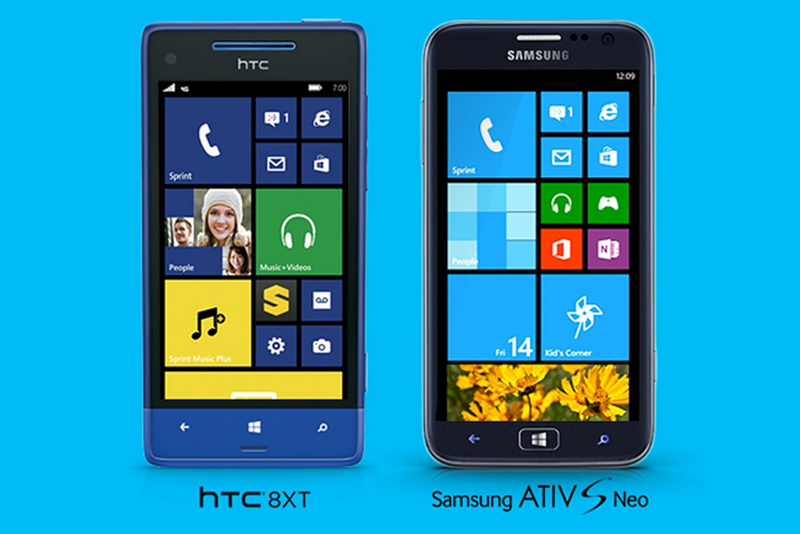 He then introduced the Nokia Lumia 925, the Lumia 928, and the Lumia 521, plus the brand new HTC 8XT, and the Samsung Ativ S Neo, headed soon to the Sprint network. Then, as quickly as it had begun; it was all over, and Ballmer moved on to Windows 8 on tablets. Not to worry, we all thought, he’ll be back to it later. Except he wouldn’t. 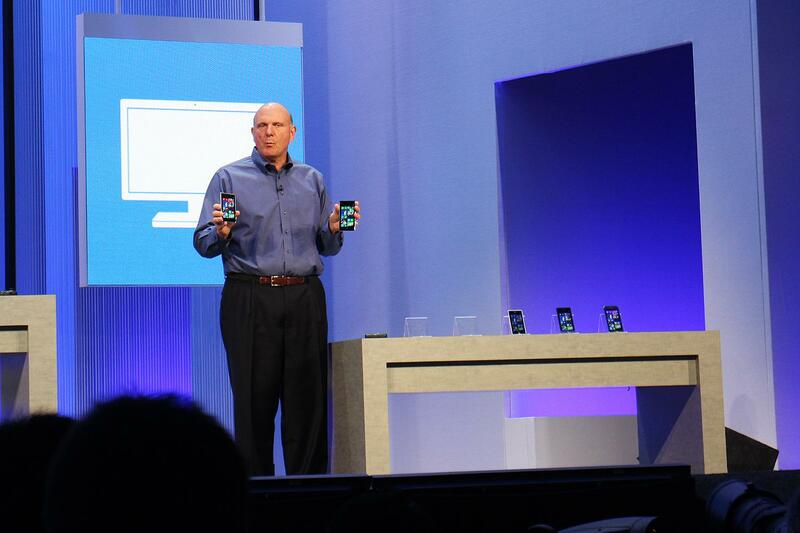 Ballmer’s promise of, “a lot” of Windows Phone news was about three minutes looking at a few devices. When you’ve got a 75 percent global market share in smartphones, as Google does with Android, you can do whatever the hell you like. If you want to hold back and reveal all at another dedicated event later this year, you do it. If you want to stretch out Android Jelly Bean until next year, fine; it’s your prerogative. Microsoft has a 3.2 percent global market share. Apart from the thousands of developers in attendance, there were 60,000 (according to Ballmer) people watching online, many of whom were journalists ready to report on the event. Instead of grasping the opportunity to drum up some excitement about Windows Phone, it was swept aside in favor of Bing and Project Spark. So what’s being written about Windows Phone in the wake of Build? It’s either nothing, or nothing positive. Ignoring Windows Phone was a huge missed opportunity. Google’s decision not to give us a new version of Android has left the market wide open; the only mobile OS anyone is talking about right now is Apple’s iOS 7, and a lot of that talk ain’t positive. Microsoft could have swooped in with news on WP8.1 and grabbed some of those column inches, and more importantly, some more customers due to the mixed reception to iOS 7‘s redesign. Apple must be having a good old laugh. It still has the stage all to itself, and will until one of its competitors can be bothered to, you know, compete. In May, an IDC report showed Windows Phone recently hopped up into third place in the global smartphone market, a big 133-percent increase over last year, and proof it has some momentum. Why not capitalize on this? We’re sure Nokia would appreciate the support, particularly as it has an important event of its own planned in July. A mention of how the OS is growing and improving would have been a very positive message to accompany its latest phone. One could argue Microsoft so desperately needs Windows 8.1 to take off, it had to dedicate as much time to it as possible, plus this was a developer conference, and not a consumer event. However, Windows Phone is an integral part of Microsoft’s future plans, and it’s success is a key part of building a winning ecosystem. WWDC and Google I/O are developer conferences, but they’re also press events. Like it or not, the keynotes are becoming as important for generating future sales as they are for talking to developers. Build 2013 is Microsoft’s most prestigious and highest profile event of the year, and from both a sales and marketing perspective, ignoring Windows Phone altogether is a gaffe of potentially huge proportions. Microsoft isn’t Google, and dismissing mobile this way makes us wonder if it understands the industry at all. Microsoft Build 2019 is set for May. Will we hear more about Windows Core OS? Insiders reportedly familiar with Google's plans confirmed the Google Home Hub will be rebranded Google Nest Hub. Citing accidental leaks in the Google Store about the Nest Home Max, informed sources suggest a May 7 launch date.